If you watched TV back in the early 2000’s, you probably had the unpleasant experience of watching two young socialites act like spoiled brats. The show was called The Simple Life and featured these two ladies doing blue collar things and complaining the whole time. Well, not to be outdone, Rockstar gave these two the mockery treatment with two characters named Cloe Parker and Jill Von Crastenburg. Born to a billionaire father, Cloe Parker has a foul attitude and multiple arrests for everything from drunk driving to cocaine possession. 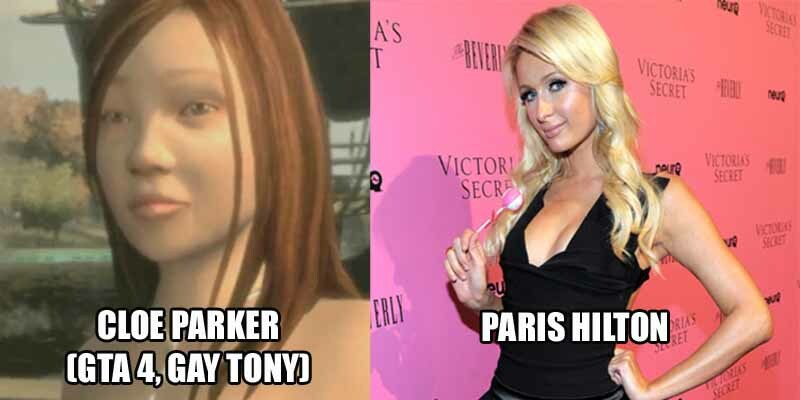 During the events of GTA IV and V she is in her twenties, but we can’t say the same of her friend Jill. Jill Von Crastenburg is another daughter of wealth and luxury, and started partying with Cloe when she was still a preteen (although there is some dispute over her actual age).